Two CDs featuring the '90s coolest Britpop band's infamous Peel Sessions. 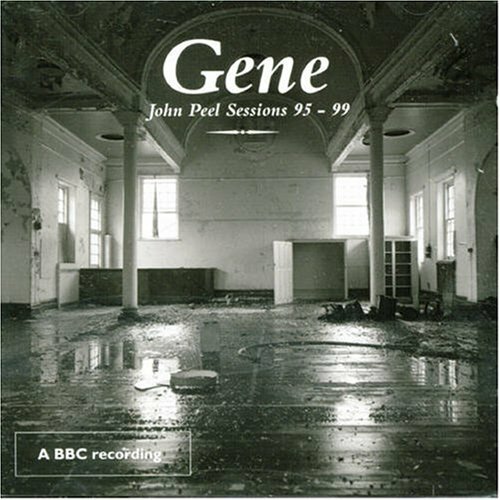 The stamp of approval from John Peel was always the kitemark of a great band, and Gene repeatedly rose to the honor, recording four sessions during the mid-to-late '90s that wonderfully capture their blossoming career. Disc One features their in-studio sessions, the first, laid down in December 1995, featuring stark early versions of tracks from their sophomore album Drawn To The Deep End. The second, in February 1998, previewed songs from their third album, Revelations. Disc Two's sessions were recorded during live shows. The first at the Queen Elizabeth Hall in January 1999, the second in August of the same year, in the Maida Vale studios on John Peel's birthday, Both sets are awash with the rough passion and tender compassion that infused Gene's entire canon; fitting testaments all to the 90's most elegant lost sons. Universal. 2006.